Figure 68. 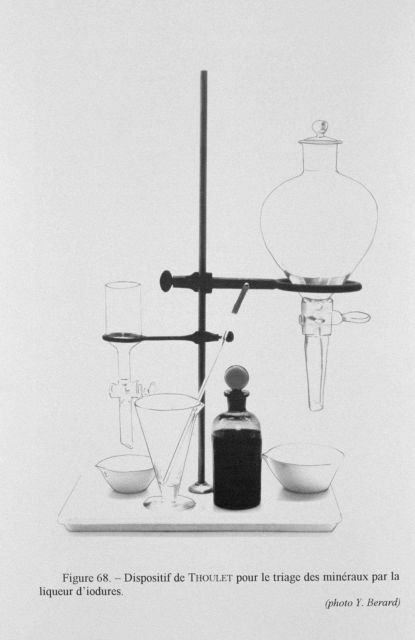 Thoulet device for classifying minerals by means of an iodine solution. This device used the principle of buoyancy of solids in liquids to determine the density of the solid being tested. In this manner, mineral material in a bottom sample could be quickly determined.